Port 20000, and 2222 are not typical ports used by legitimate applications, in fact 2222 has been known to be a BackDoor trojan: Speedguide.net has some information. This machine has to be investigated for malicious software. This is the reason for the Alpha scan – so that unknown ports running on your machines will be uncovered. Update your plugins and widgets when they are vulnerable, use complex passwords, and otherwise use good security methodologies. It is the basics that people are not doing. What is easy to use makes it less secure, thus requiring more effort by the user or administrator to make sure it is secure and safe. I know this is an old attack (from April 13th, 2013) but the basic principles apply, as security methods never go out of style, and old attacks come around again and again. What can happen is a lot of pingbacks with the links in the comments. If done on many pages with a lot of effort it can happen. I recommend everyone use moderated comments to prevent automated bots if you must turn on pingbacks. 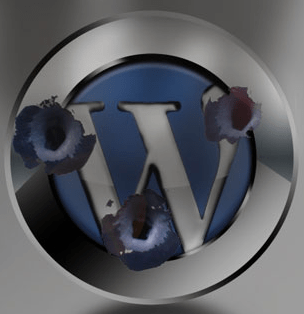 we have no pingbacks in our WordPress sites. Raspberry pi is a cellphone sized wafer board with circuits running a basic Linux Operating system (Raspberry Pi). Has a good article explaining how to use USB GPS, and battery to connect to a wifi antenna and a 8GB – 16GB SD Card. But interesting to note this is the kind of article a “unethical” hacker will use to find vulnerable wifi routers and access points to attack networks. Protect yourself scan your network using Omega(Ω) scan. We will find out if you have a vulnerable wifi system.